School Community Council Candidates Wanted! 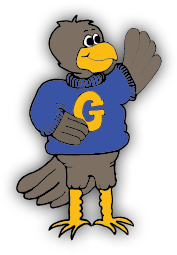 Would you like to serve on Goshen Elementary 2017-2018 School Community Council? Goshen Elementary School Community Council (SCC) serves as an advisory council to the school administration. The SCC will be elected by vote. Parents will elect parents and staff members will elect staff members. The SCC will meet for one hour monthly. The day and time will depend on the elect parents' schedule. We will set that at our first meeting in September. If you are interested in running in the election for School Community Council, please email the information at the bottom of this sheet to the principal (l.degraffenried@nebo.edu) by August 22, 2017. The election will run August 25 - Sept. 1.